To celebrate Easter holidays, teachers, students and parents have cooked five “paellas” for 100 people. 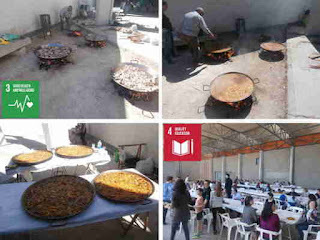 Then, we have eaten them enjoying a good time all the school community together. An important action on the voluntary blood donation took place in our. Nursing staff from the city's University Hospital informed our students about the conditions and, mainly, the benefits of this initiative for both the recipient of the precious blood and the one who offers it. 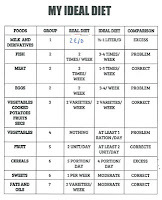 Serving in this way the Goals 3: Good Health and Well-Being, 4: Quality Education and 17: Partnerships for the Goals, we realized that we can all benefit spending only 10 minutes of our time. 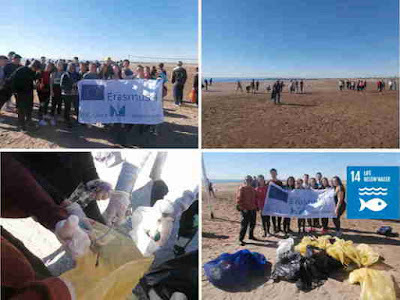 As part of our Erasmus + project “Agenda 2030: that’s our challenge!”, grade 10th students have cleaned-up a beach near Alaquàs and then they have played sports on the beach. It has been a complete day, first fighting against marine plastic litter and ocean pollution as part of our actions related to Goal 14 “Life Below Water” and then playing football, colpbol and volleyball as part of our actions related to Goal 3 “Good Health and Well-Being”. We should constantly clean and protect our beaches to make them enjoyable places! Ice tea, coke and lemonade - unhealthy, but still found in many schoolbags of our youngsters. 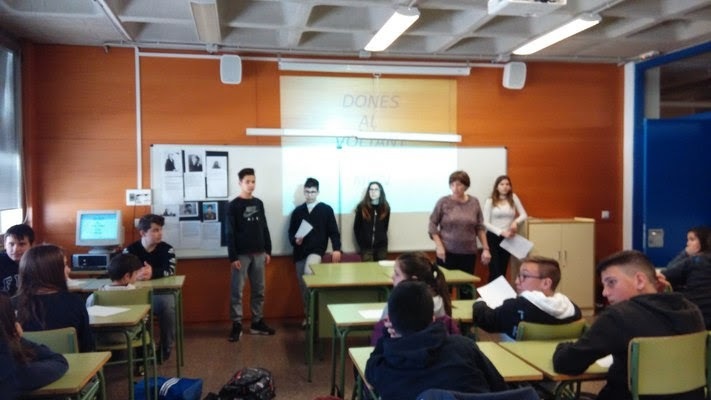 To take measures against that problem and to support a healthy drinking behaviour of our pupils, we decided to participate in a project from the charitable organisation a tip: tap. The organisation sponsored a drinking water fountain to fill our bottles with water and, at the same time, organised workshops on water usage and water issues. Since the beginning of this school year, our fountain stands in the centre of our entrance hall. More and more pupils, as well as teachers, are using the fountain to fill up their bottles with clean, fresh and healthy water. In addition, they avoid plastic bottles, because many of them have bought bottles of steel from our school company „Schmids Druck Studio“. This company - operated by pupils and one teacher of our school - is a studio for print products like t-shirts, bottles, cups and bags. All of the products are made from sustainable materials or materials which save our environment. The bottles are printed with the name of its user, the logo of our school and the logo of our sponsor a tip: tap. So the two sustainable projects complement each other. 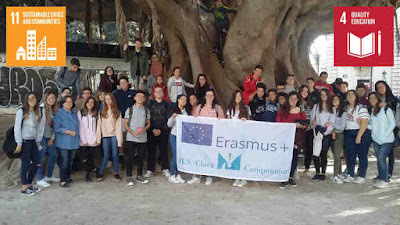 The Department of Chemistry of the University of Ioannina opened its gates and welcomed the Erasmus+ students of our school, giving them the opportunity to discover the importance and magic of Chemistry. The event took place in the framework of the cognitive subjects of Physical Sciences and the "Science and New Technologies" Club, on 9th March 2018, at the Amphitheater of the Chemical Department. 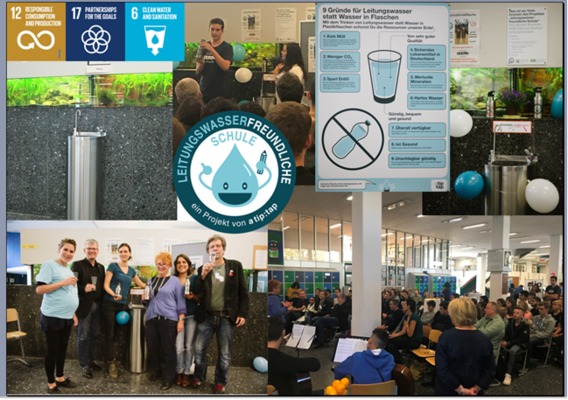 The program included the attendance of a variety of chemical reactions, combined with the presentation and interpretation of impressive experiments by the scientific staff and postgraduate students. 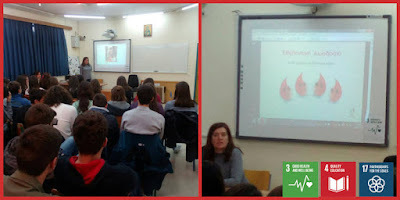 As an example, students participated in experimental procedures such as plastic synthesis, "banana-hammer" conversion, the creation of "cloud" with liquid nitrogen, and also learned useful information about dangerous "tasty" nutrition or for substances that pass from plastic to food burdening our health. 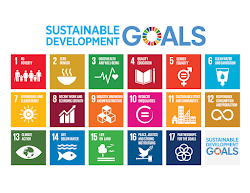 The enthusiastic comments and the common interest of all led to the implementation of Goal 3: Good Health and Well-Being, Goal 4: Quality Education and Goal 17: Partnershisps for the Goals. 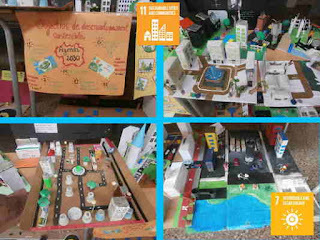 Grade 9th students have been working on Goal 11 “Sustainable cities and Communities” and Goal 7 “Affordable and Clean Energy”, designing the city of their dreams as an inclusive, safe, resilient and sustainable city with access to affordable, reliable, sustainable and modern energy for all. With particular interest the Eramus+ students visited the city's Traffic Education Park. Under the supervision of traffickers and their teachers, and through experiential learning, the children realized the usefulness of road safety rules, whether for pedestrians and cyclists or for passengers. Using the Park's infrastructure, they practiced the road marking, took on roles and co-operated with their classmates for the ideal road behavior. In doing so, they attempted to achieve the goals 11: Sustainable Cities and Communities, 4: Quality Education and 17: Partnerships for the Goals. 14-3-2018 – Celebrating “Pi Day”! 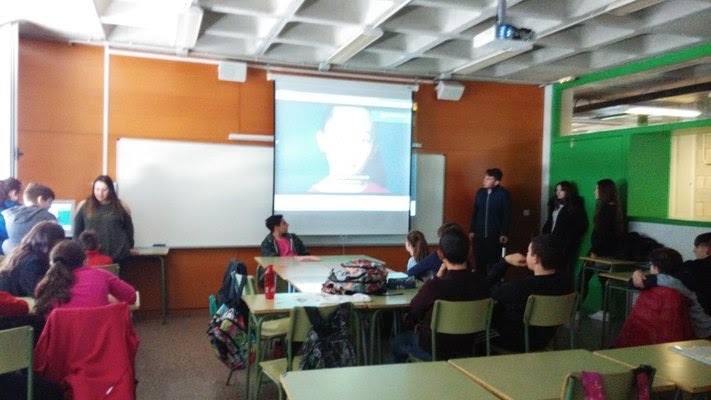 On the occasion of the Celebration Day of "Pi", but also due to the "2018: Year of Mathematics", in class we presented the subject and discussed about the two important scientists of the modern times and the dimensions of their mathematical thinking. The very same day, the death of Stephen Hawking emotionally moved the world community, because of his value as a person and a scientist. The students' interest was intense and, thus, we served the Goal 4: Quality Education. March 14 (3/14) is an annual celebration of the mathematical constant π which is approximately equal to 3.14, while it happens to be the day of birth of Albert Einstein (14 March 1879 – 18 April 1955) and the day of the recent death of Stephen William Hawking (8 January 1942 – 14 March 2018). 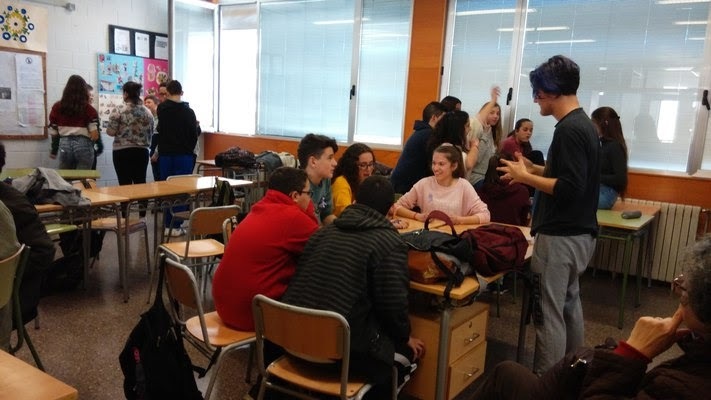 The Protypo Gymnasio Zosimaia School, on Wednesday 14th March, participated in the High School Athletic Games, serving Goal 3: Good Health and Well-Being, as well as Goal 4: Quality Education. The students who represented our school made a very good impression and were successfully distinguished (1st place at 300m - 2nd place in the high jump - 3rd place in the long jump). 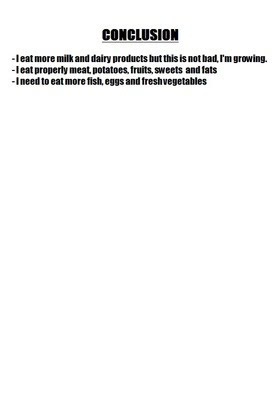 This fact gives us the motivation to continue our everyday exercise and practice during our school physical education. 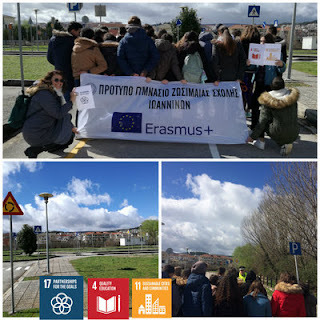 The best way to honor Women's Day was to choose an action with the Erasmus students , as part of the “Active Students - Active Citizens” program, while serving the goals of ERASMUS+ Agenda 2030 (4: Quality Education, 5: Gender Equality, 17: Partnership for the Goals). We planned a visit to the Archaeological Museum of Ioannina for the exhibition "Women Motionless/Invincible"on Wednesday 7th March. 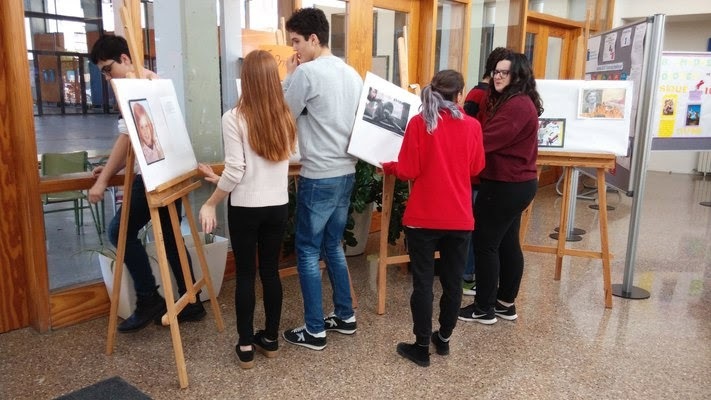 The students experienced a journey in time and space through the women's statues and had the opportunity to "chat" with them to express their thoughts, feelings and inspirations under the precious guidance of the sculptor Michalis Oikonomidis. 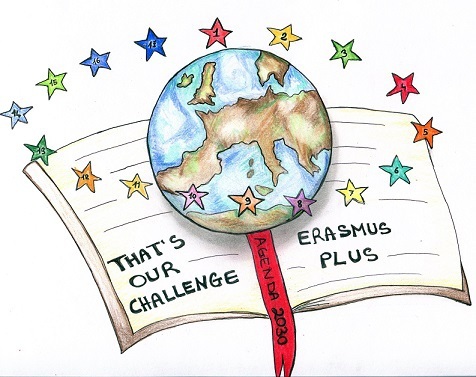 The Erasmus activities still go on to serve Goal 4: “Quality Education”, reminding us of the actions during the 1st Mobility in Ioannina, Greece, that had to do with the use of Mathematics. The Greek Minister of Education proclaims 2018 as the "Year of Mathematics", because it includes, among other things, the commemoration of two world stables, due to Greek mathematicians of antiquity. In particular, this is the number π = 3.14159265 (Archimedes), the day of which is celebrated on March 14 (3.14), and the φ = 1,618 ... 1 ("golden ratio" - Theanos), the day of which is specially celebrated this year June 1st (1.6.18). 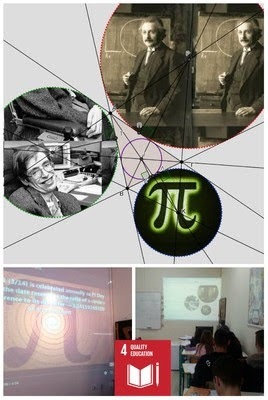 In this context, on Friday March 2nd, the Mathematics and Filanagnosis Groups programmed a cross-thematic action with relevant presentations (Pythagoras Cup - meaning of the measure), as well as the projection of the film "Agora" (Hypatia), referring to life of the famous mathematician and the turbulent era she lived (4th century A.D.), when the destruction of the Library of Alexandria occurred. During the action, the pupils gained valuable knowledge and enjoyed the combined experience of the two cognitive subjects, mainly in terms of "measure" and "golden ratio" both in mathematics and art, and in their lives in general. 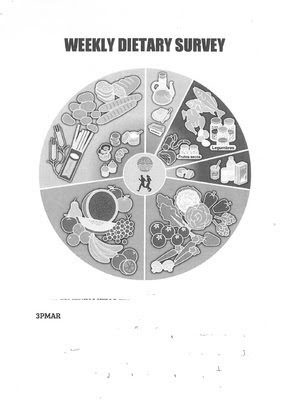 Students of grade 9th of Secondary have made a PERSONAL WEEKLY DIET SURVEY, following the theoretical and practical explanations of the physical education teacher. 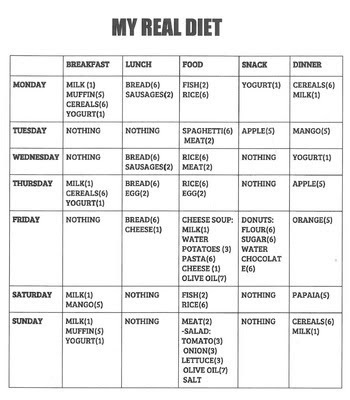 They have calculated the intakes from their REAL DIET and from their IDEAL DIET. 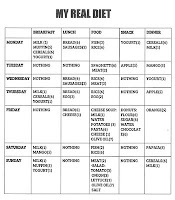 They compare both, following the Food Wheel recommendations, in order to know if they have a balanced and healthy diet. 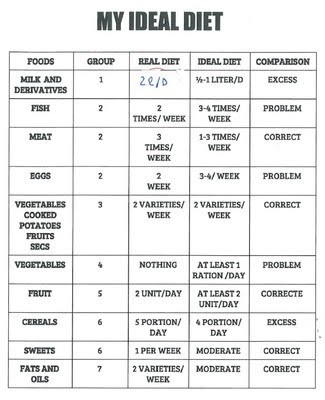 The conclusions helps each student to make the necessary changes in order to be sure that his food intake is correct and healthy. The 8th March was the International Women's Day. In Spain this day there was a women's strike that was a big success. - Workshops about domestic tasks, micromachisms, distinguished women, women around the World, discern who is, superheroines, day by day. These workshops were prepared by the pupils of Grade 9th and 10 th for the Grades 8th and 9th. -Conference by the grandmothers and the mothers of our students where they explained how they have lived/suffered the machism in their lives. - Contest of microstories related with Goal 5. - Exhibitions in the hall: women in maths, women in the past Greece, women and arts, women near us. • Faire connaître le travail du Equipo Cronica. • Réfléchir sur le rôle de l'Art en tant que la dénonciation de la réalité sociale. • Faire connaître d’autres peintres espagnols. • Développer la capacité d'interprétation des images plastiques. 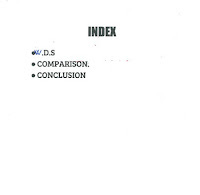 • Développer la capacité d'argumentation. Le travail que j'ai le plus aimé est ''le Matisse comme prétexte'' parce qu'il montre ses compétences en tant qu'artiste et sculpteur. Après nous avons fait un tour au centre de Valence et nous avons visité ‘La Plaza Redonda’ où il y a une source, le Marché central où il y a un grand dôme et le Marché de Mossen Sorrell. La visite a été très amusante et dynamique et je pense que c’est très bien ce que fait Bancaja. 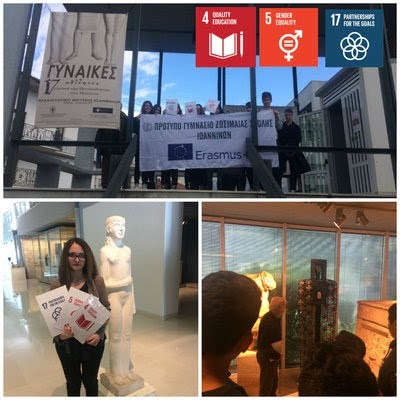 The Erasmus students of our school had the opportunity to enjoy the theatrical performance based on the work of the world-famous Greek author Nikos Kazantzakis, entitled "Get where you can not". His work is devoted to the humanitarian values of equality, freedom, justice and peace. Therefore, through the sophisticated text and the imaginative scene performance, as well as the interactive action between us and the actors, we implemented Goal 4: Quality Education and Goal 16: Peace, Justice and Strong Institutions. 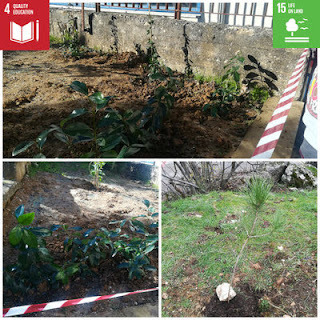 The Erasmus+ students planted trees and flowers in the courtyard of our school. Considering that it is both aesthetically and functionally important for schools to have "green" yards, the students were willing to participate in this environmental action, according to Goals 4 "Quality Education" and 15 "Life on Land" of Agenda 2030. Thus, they took advantage of the outdoor schooling as a teaching tool for eco-consciousness, while taking responsibility for improving the appearance of the area that makes school more attractive to students, teachers, parents and the wider community.